The monsters live inside of Kate Woodson. Chronic pain and a host of autoimmune diseases have robbed her of a normal, happy life. Her husband Andrew's surprise of their dream Maine lake cottage for the summer is the gift of a lifetime. It's beautiful, remote, idyllic, a place to heal. But they are not alone. Something is in the woods, screeching in the darkness, banging on the house, leaving animals for dead. Just like her body, Kate's cottage becomes her prison. She and Andrew must fight to survive the creature that lurks in the dead of night. The Flame Tree Press fiction imprint from Flame Tree Publishing brings together brilliant new authors and the more established; the award winners and exciting, original voices. There's a subtleness to the horror that Hunter Shea paints with his latest novel. You know it's coming. You're expecting it to come at any moment. The story is building to its climax and then wham. It hits you between the eyes. You know something is coming and that it's going to be horrific, but it still catches you by surprise. One could say that this book is just as much a love story as it is a horror story. The main characters have horrific circumstances that they have to overcome that can hit very close to home. The manifestation of pain and suffering revealed in the main couple's relationship was both beautiful and heartbreaking all at the same time. Great characters. Great story. Fantastic ending. Wonderful narration from Lance Fuller. 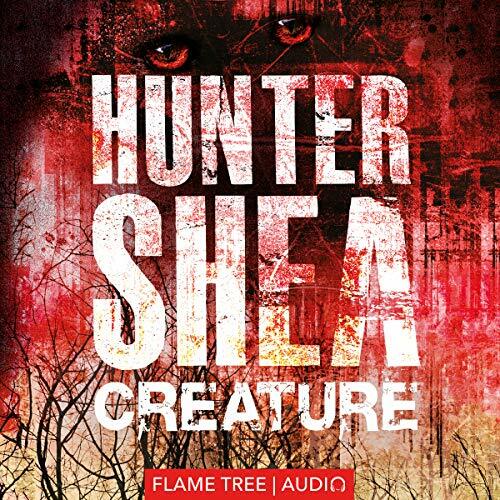 I have loved everything I've read by Shea so far and Creature doesn't end that streak. This may be my favorite book by Shea so far. It only makes me want to read more of his work.